If you plan on buying an MP3 player for your child, then you are in for a treat. There are tons of great little devices in this sector and although they do not come with huge “for kids!” labels on them, I chose them based on their overall build quality and ease of use. No touchscreens here folks, only great build quality and ease of use as well as solid battery life. 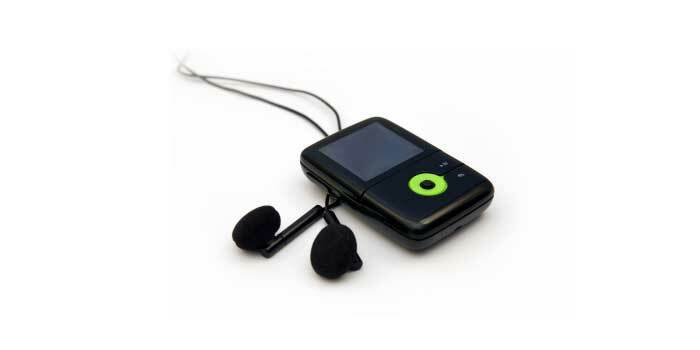 So here are the top 5 MP3 players for kids, in no particular order though! My first tip would be to opt for the Apple iPod shuffle, 2 GB model. This might seem a little bit counter intuitive, but the shuffle has exceptional build quality. It literally is a tank in this aspect and I have forgot mine in my pants while washing them several times, yet it still works. The interface is very simple, as the player has previous and next buttons, volume up and down as well as play and pause. The rugged design will keep it safe no matter what sort of punishment it might get and because of its small size and design, it will fit anywhere. Easily one of the top 5 MP3 players for kids, in my humble opinion. If you have some more cash on your hands and think that the MP3 player might be safe with your child (never assume that! ), then the Apple iPod nano 8 GB might be another great choice. It comes with the similar small and lightweight design, but the added display is a very nice addition. The 8 GB model will set you back around $120 depending on retailer, but will fit up to 2,000 songs. With a 24 hour battery life on a single charge, the Apple iPod nano is bound to keep your child entertained. The interface is simple and easy to navigate and for this alone I would recommend it 10 times out of 10. In case your budget is limited, then the SanDisk Sansa Clip Zip 4GB MP3 player should be another excellent choice. This small device is extremely cheap at around $50 (this depends greatly on retailer), but it still delivers plenty of storage space and easy to navigate controls. Not only that, but the small colored screen is a nice addition to the whole package and thanks to its size, it should not break right out of the box. You get simple controls, a stopwatch features, it plays back MP3, WMA, secure WMA, Ogg Vorbis as well as FLAC files. Our next contestant on the top 5 MP3 players for kids list is the Cowon iAUDIO E2 4 GB MP3 player. Although it might not seem like the first choice for an MP3 player for your child, this model is excellent no matter what you are looking for. It ships with great sound quality, probably one of the best I have heard in an MP3 player of its size and its price tag. It accompanies this with great build quality and a very simple interface allowing you to get to your favorite tracks easily and the real seller of this model is its built in audio equalizer. Last but not lead on our list of the top 5 MP3 players for kids is the Creative ZEN Style M100 4GB MP3 player. We have here another model with a display, however, that does not mean that you loose any of the build quality or resistance. 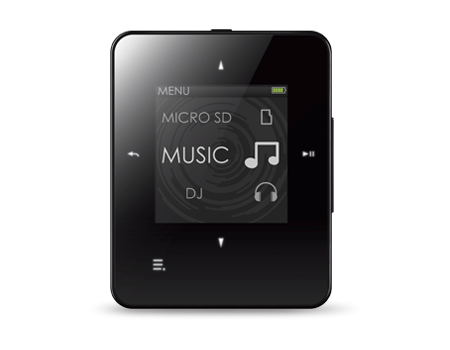 With a very small design and reduced weight as well as an easy to use interface, the ZEN Style M100 4GB MP3 player is one of the best MP3 players for kids, but for adults alike. It has up to 20 hours of continuous music playback and you get both video and picture playback! I am a first grade teacher. I am looking for an MP3 player to download my listening station on to. I have book and CD sets. I have used an MP3 player from Toys R Us but my kids have worn it out. I was going to replace it with the same type but they are no longer available. What would you recommend? I would like something that my students can use to easily find the book. Previously I loaded the books then used the number on the player and stickered the book with that number. I hope this makes sense. I really need something that they can use on their own to locate the correct file for the book.